If you’re on the hunt for a new pair of soccer shoes, the task can seem a lot more overwhelming than you might expect. Do you want a leather or synthetic boot? Are you looking for turf shoes, outdoor cleats, or indoor shoes? Maybe your poor choice of footwear has gotten you kicked off the field by one of our refs. This blog will provide you with the information you need to pick out the best possible shoe for your upcoming season. It will also prevent you from having to borrow another pair of torn-up, over-sized shoes from our lost and found. Bright synthetic shoes with flashy patterns might be easier to find these days, but they’re not necessarily the best for your game. Yes, leather shoes will typically cost you a little bit more dough, but they’re usually worth the extra change. Leather shoes will mould and stretch to fit your foot more comfortably. The leather is a thicker material that provides more protection for your foot and is built to last longer. The downside to the leather is that it’s much more absorbent and can weight your foot down in wet conditions and can also be more difficult to clean. It’s really important to think about what type of soccer pitch you play on. Is it an indoor turf field, an indoor gymnasium or outdoor grass field? Turf shoes are ideal for indoor turf surfaces. 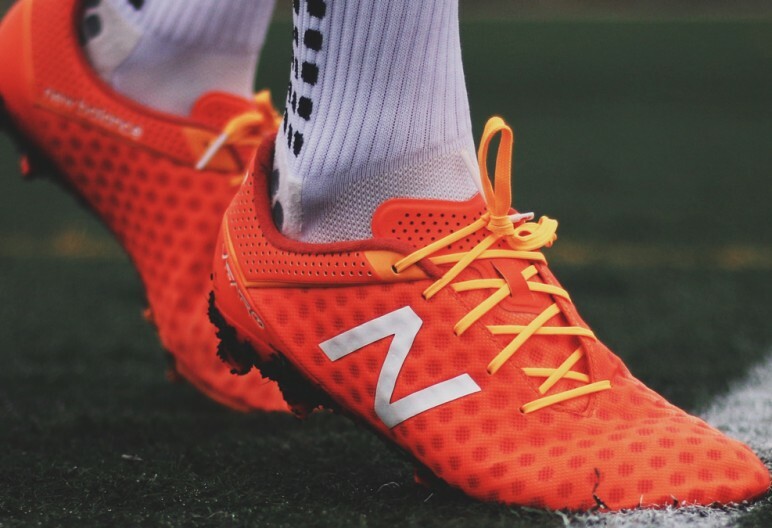 The extremely durable rubber outsole is designed to create traction on turf pitches. These shorter, mini-cleats are typically made of rubber and are found in higher quantities than the firm ground shoes. Indoor shoes have flat-surface outsoles and are usually low-cut with a slightly harder outsole than running shoes. These should be used on gym floors and other dry artificial surfaces. Outdoor cleats or firm ground cleats are best used on outdoor grass fields. The studs on the bottom of outdoor cleats are typically bladed or a combination of bladed and conical. Artificial grass (AG) cleats are best used on modern synthetic turf fields. The studs are a little bit longer than the rubber turf stubs but shorter than the firm ground cleats. The cleats are hollow, helping to provide increased support in a field full of rubber pellets. What shoes can I wear at the Soccerworld dome? Indoor shoes and turf shoes. What shoes can I wear on the Toronto RUSH FC fields? Firm ground cleats, soft ground cleats, artificial grass cleats or turf shoes. 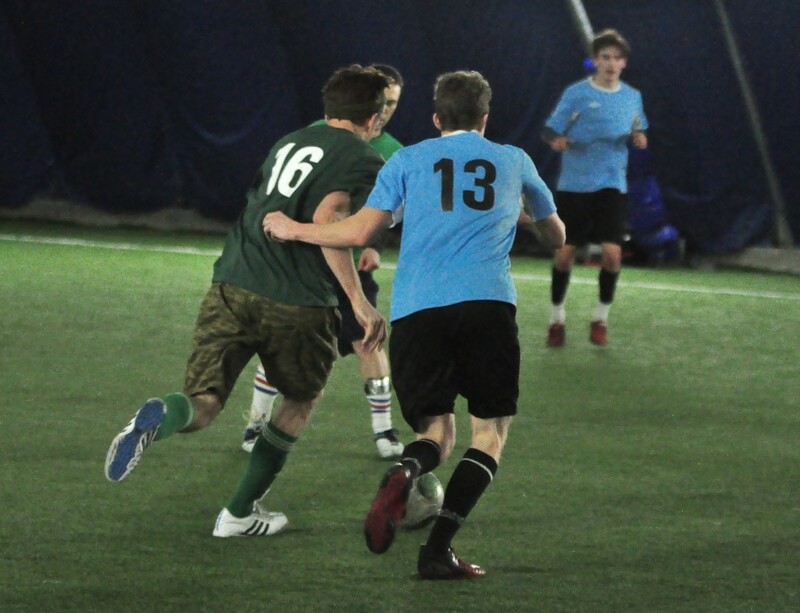 Bladed studs: Bladed studs provide greater traction and speed. There is less stud pressure which can be more comfortable for players. Calfskin leather: You will often find calfskin in the mid-price shoe range. It’s a tougher leather that is more durable than kangaroo leather but not as flexible. Collared boot: These half-sock, half traditional soccer shoe create a seamless sock-like fit for players. The sock part provides more support and ankle coverage for players. Conical studs: Rounded studs that distribute pressure. They offer a quicker release and greater stability. Kangaroo leather: High-quality leather that moulds to your foot; It’s lightweight and very comfortable. It’s typically the most expensive type of shoe to purchase. Thermoplastic polyurethane (TPU): A durable material with elasticity, transparency and resistance to abrasion. It’s often used in soccer shoe studs for lightweight stability.